What’s going on in the world of Beanbag development. 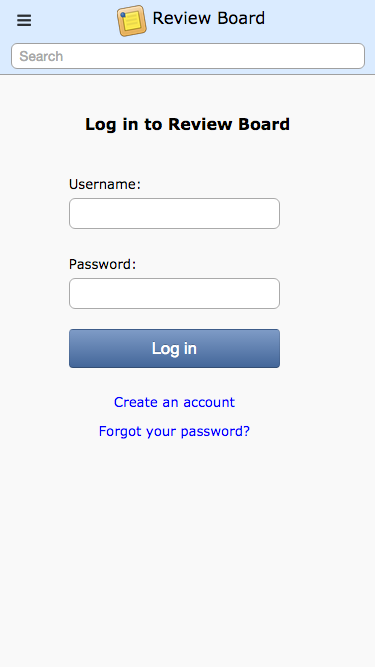 As does registration and password resets. Gravatars are now showing up more reliably in the dashboard. Depending on the settings on the server, these may have been hidden unintentionally. Basically, defaults weren’t being taken into consideration in some calls. 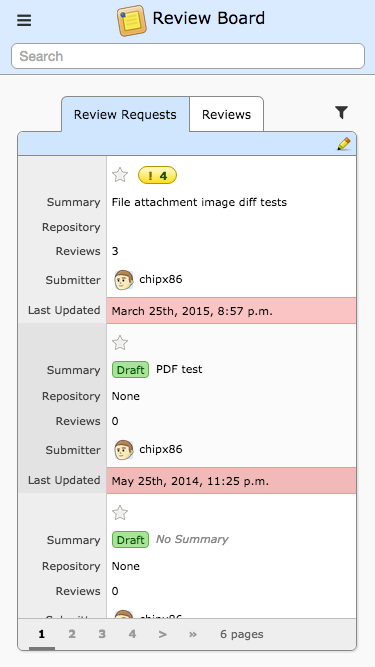 Also, some fixes for visual issues with text and Markdown file attachment review pages. 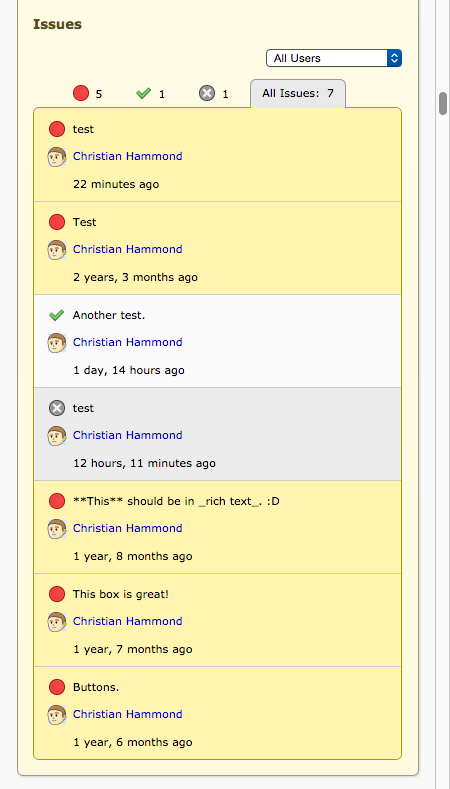 When saving the comment, this would appear rendered with some syntax highlighting, same as the diff viewer. That means when you type code in a code block, like above, it will show the syntax highlighting immediately, without having to save. Now, it’s not perfect. We use a different highlighting engine for rendered content vs. on-the-fly content, and they don’t 100% agree on how things should be styled, but it’s close enough. 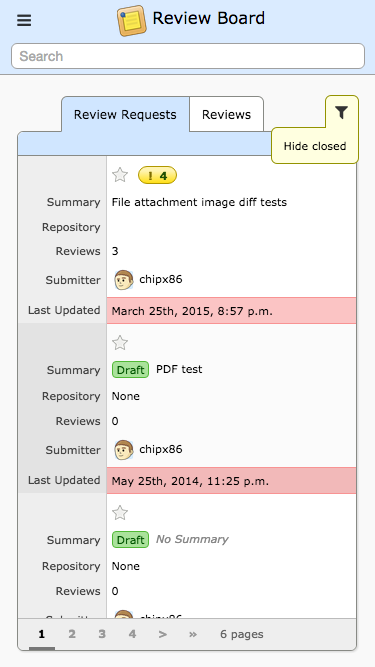 We’re gaining this ability through an upgrade of CodeMirror, the widget we use for the text fields. We’re giving 5.5 a try (we previously tried upgrading to 4.2 and had issues, but so far so good with 5.5). This will all ship with Review Board 2.5 RC 1. Since Review Board 1.6, we’ve had a table of all open issues (comments that have a task that needs fixing before a change can go in), sitting right below the fields of a review request. This could be filtered by reviewer and by status type, showed summaries of the comments, the date/time the comment was filed or last updated, and the status type. It was pretty text-heavy, though, and not easy to read at a glance. As such, most people probably ignored the nice filtering abilities and, really, most of the content. Users will get to use the new table later this week.